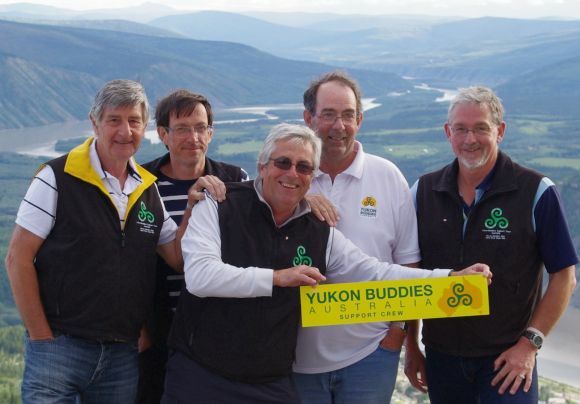 A few months back I had the pleasure of meeting the Yukon Buddies on Middle Harbour. 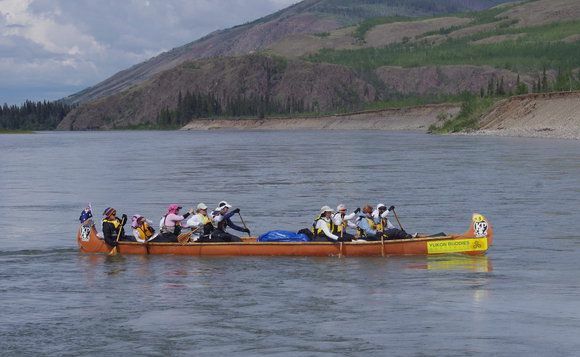 These amazing women are survivors of breast cancer and were inspired by a team called Paddlers Abreast to take on the Yukon Quest, a 740km marathon paddle down the Yukon River in the north west of Canada. To say I was impressed with their drive and training would be an understatement. The women had taken on a number of marathon paddles as training, including 100km+ training runs on the Hawkesbury, the 404km Murray Marathon, and numerous night endurance paddles. When I met them they were plying Middle Harbour in an outrigger canoe putting in the final kilometres before their trip across the world and into Canada. 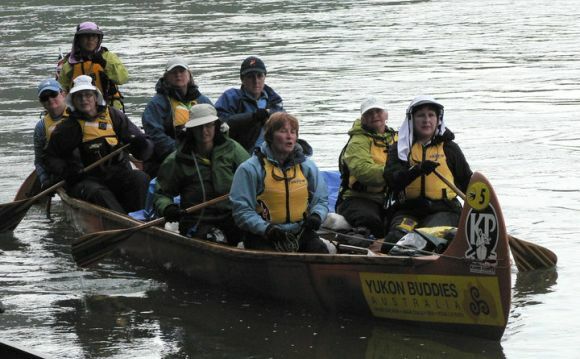 At the end of June the Yukon Buddies set off for Canada, making their way up to the town of Whitehorse to get familiarised with their hired voyager canoe, customising her with their own logo before taking her out for test paddling. Then it was time to set off on their epic journey through the wilds of the Canadian wilderness. A few hundred kilometres down, a few hundred to go. The Aussie flag flying proudly at the stern! The race itself takes more than 60 hours to complete and is one of the longest paddle races in the world. The wilderness is vast and largely uninhabited (unless you count the moose and the bears!) and the paddlers can travel great distances without seeing another human being. About half way down the river, the Yukon Buddies met the famous formation known as Five Finger Rapids. Fortunately the girls followed intructions and kept to the “safer” right hand route, avoiding the treacherous rapids of the other approaches. Yukon Buddies - awesome effort! 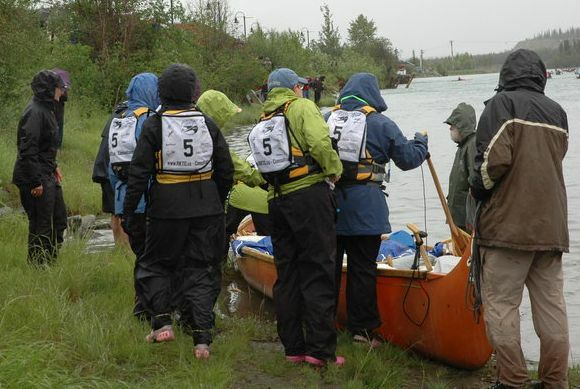 In a race where 30% of paddlers fail to finish, the Yukon Buddies finally came across the finish line in a very respectable 68hours, a spectacular effort for a first time team. These girls not only did themselves proud, but represented their country with grace and honour. So to Deb Hirst, Wilma Kippers, Rosie O’Donnell, Liz Trenam, Ruth Turnell, Tracey Bowne, Sue McClelland, Angie Aston and Vicki McLean – awesome job and a heartfelt congratulations from the Fat Paddler! You are truly an inspiration to us “normal” paddlers! And finally, there is a longer version known as the Yukon 1000, a 1600km paddle that tracks all the way to Fairbanks in Alaska. This was held around the same time, and it is my great pleasure to announce the top four across the line were all Aussies! Steve Pizzey & Tom Simmat (both from NSW) came across the line in their solo kayaks in equal first in a time of 7 days, 1 hour, 27 minutes. In third place Rod Spinks and Greg Lennox (both from QLD) crossed the line in their tandem canoe in a time of 7 days, 2 hours, 58 minutes. Great to see so many Aussies beating the competition in this remote part of the world. More importantly, its great to finally see NSW beat QLD in something this year! 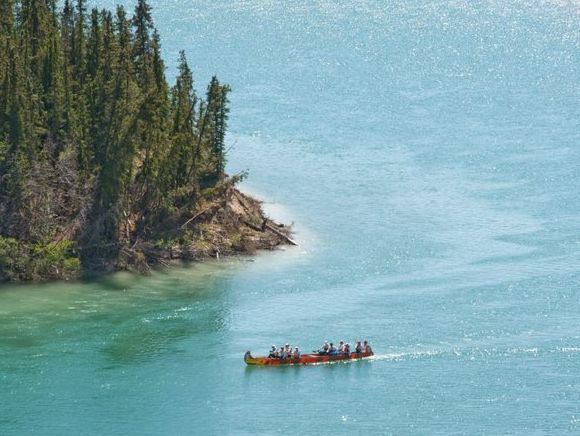 UPDATE: A special congrats to the Yukon Buddies support crew from the paddlers: For the Yukon River Quest they got our boat organised at the start of the race, and were there waving from every vantage point until we were out of reach in the wilderness. They were there at Carmacks to ferry us to our hotel and while we slept for those precious few hours, they washed and dried our clothes, made and packed sandwiches (according to our orders), cleaned and reprovisioned the boat, and faced our bleary and sometimes cranky looks when they dragged us out of bed and sent us back onto the river. At the finish line they were just as emotional as we were, but swung into action to get our boat out of the water, stripped and ready to be loaded on the trailer straight away. We couldn’t have done it without them and will be forever grateful that they helped us fulfill our dream! Behind every great all-female paddling team, are a team of great men! Thanks for making the changes to your article about Paddlers Abreast. 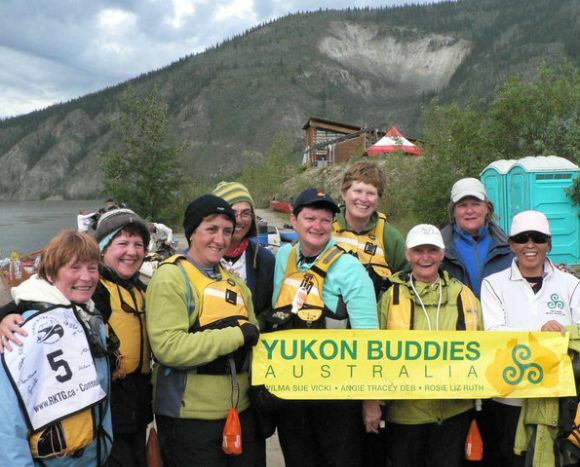 The Yukon Buddies have not been the first team to be inspired by Paddlers Abreast but they definitely come from farthest away. To give you some incite to paddlers Abreast you might want to read these articles.